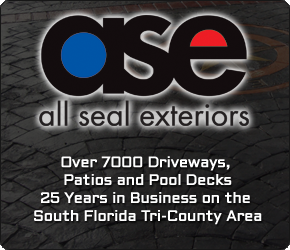 Contact us today for a FREE ESTIMATE, call 954-280-4199 or e-mail us at: info@allsealonline.com. It was a pleasure seeing you at the dedication ceremony for the Chris Reyka Memorial Garden. Your generosity in support of our project is very much appreciated. On behalf of the Reyka family, thank you again.